Guitarist, composer, improviser. In the second half of the '90s, Sugimoto started performing with various improvisational musicians in Japan and other countries. In around 2002, he began to focus on music containing an extremely small number of sounds. He moved away from the so-called improvised music scene and made composition and its performance his main activity. 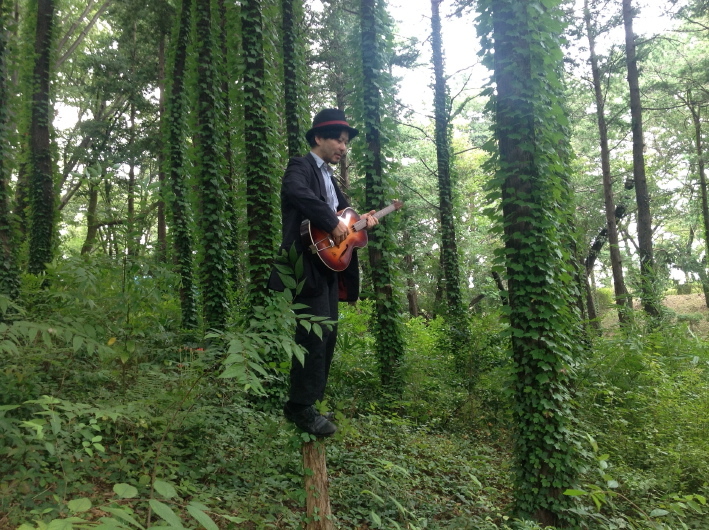 Sugimoto has also been active in Saritote, the minimal song unit he formed with Moe Kamura. In recent years he has been composing music with a focus on special tuning, harmonics and microtones, elements he frequently uses in improvisation as well. And in 2013 he started the punk (?) rock band Shimokitazawa Functions, made up mainly of drinking companions from his home base, Shimokitazawa.